The directors of the California stem cell agency are preparing to jump into a brutal political fray in the hallowed halls of Congress that pits, in the views of some, a "global corporatist elite" against American entrepreneurs and inventors. It is all about patent law and so-called reform. More than 100 lobbying firms representing at least 267 organizations have already joined the battle. Millions of dollars are being spent to influence the outcome. Patent law is one of the more arcane subjects in the public policy arena. The CIRM directors Legislative Subcommittee is being asked to make a considered judgment on the controversial emotional and technical issues during a brief, 90-minute meeting on Monday that includes other significant matters. And with only three business days before the meeting, CIRM has not publicly presented a summary of the legislation and issues. No analysis, no pros and cons and no rationale for why the state agency should be involved are available. The meeting agenda does not even state that patent reform is the matter to be discussed. Writing in an op-ed piece in this morning's Sacramento Bee, John M. Simpson, stem cell project director of the Santa Monica organization, called for the election of Frank Litvack over bond financier Jonathan Thomas, chairman of Saybrook Capital, also of Santa Monica. 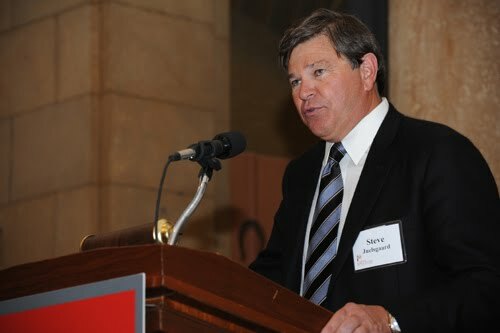 Simpson noted that the agency has been much criticized for its dual executive structure, which has led to public conflict and issues involving the outgoing chairman, Robert Klein, and president. Simpson said Litvack believes that the chairman should not be involved in day-to-day management at CIRM. Thomas is believed to envision a more hands-on role for the chairman. "As CIRM was in startup mode, Klein was very much a hands-on chairman, intimately involved in the agency's day-to-day management. The problem is that CIRM's president is supposed to be the chief executive. "Klein's propensity to micromanage was understandable – perhaps even helpful – as CIRM got off the ground. But it continued during Klein's six-year tenure." "CIRM already has a world-renowned $500,000-a-year stem cell scientist – its President Alan Trounson. There's no need to spend another half-million on an investment banker so two executives can trip over each other at taxpayer expense. "Litvack understands what the chairman's role should be and has realistic expectations about a salary. He should be elected so the agency can move successfully beyond the Klein era and perhaps to a time when it becomes simpler to get things done at CIRM." Drawing nearly all the attention nowadays at the California stem cell agency is selection of a new chairman, but real work is also going on. That is not to underestimate the importance of the decision, but the trains still have to keep running at CIRM headquarters in San Francisco. Next Monday, for example, the directors' Science Subcommittee will meet to consider matters that all potential grant applicants should be watching. One involves a possible mechanism that could be used by some applicants to advance their cause with information not in the grant application. Its main purpose seems, however, to give reviewers a chance to dig deeper into a grant proposal. Another proposal before the committee would extend the more than $90 million "new faculty" grant program into another round. A third would create an "opportunity" fund controlled by the CIRM president. A blue-ribbon panel last fall recommended the idea. No details were available on any of this on the CIRM web site as of Monday night, only four business days before the subcommittee meeting. "Discussion of process for obtaining supplemental information from applicants for Clinical Trial and Disease Team grant rounds, including an opportunity to obtain information during Peer Review, subject to later staff confirmation, of additional information not presented in the application." "The Governing Board could create an 'Opportunity Fund' to be used by the President to rapidly provide continuation funds for projects identified by VP, R & D and members of the Clinical Advisory Panel as having been highly successful and their plan to move forward is compelling and competitive as assessed against defined criteria. This process would accelerate existing promising and competitive CIRM projects and reduce the amount of time spent writing proposals and in review. CIRM already has mechanisms to discontinue or cut back projects that are not making progress. This additional tool would allow CIRM to accelerate projects that are beating expectations." Directors of the California stem cell agency are planning at least three public meetings prior to making their decision on cardiologist Frank Litvack or bond financier Jonathan Thomas to replace outgoing chairman Robert Klein at the end of June. The public will have a chance to weigh in with comments at all of the meetings. Two sessions have telephonic locations throughout the state, including San Francisco, Los Angeles(2), Coronado, La Jolla, Irvine (2), West Hollywood, South San Francisco and Berkeley. Here is the schedule, according to the board's outside counsel, James Harrison. June 3 (next Friday) – CIRM directors' Evaluation Subcommittee telephonic meeting to which all 29 members of the CIRM governing board have been invited. The session will begin with a brief public presentation by the candidates. Then they will be questioned separately behind closed doors. By law, the public can participate during the public portion from the telephonic locations. You can find the addresses of the locations on the agenda. Some are vague and will require contacting CIRM in advance for more specifics. The locations could change, be dropped or more added. June 6 – Evaluation Subcommittee meeting possibly involving all board members. Again, public participation is possible with the caveats noted above. No action is expected to be taken at either the June 3 or June 6 meetings, Harrison told the California Stem Cell Report. June 22-23 – Full CIRM board meeting in San Diego with the candidates making a public presentation. A closed session is expected prior to a public vote, which could well be publicly unanimous by that point. Again, the public will have a chance to comment. The specific address for the meeting is yet to be announced. The public or other interested parties can also comment by emailing information to the CIRM board and asking that it be distributed to all members. That should be done earlier rather than later in order to have any impact. The $3 billion California stem cell agency made the papers this weekend in Los Angeles and San Francisco. One story dealt with research funded by CIRM, the other with selection of its next chairman. The story by freelance writer Amber Dance in the Los Angeles Times was the sort of coverage that CIRM needs more of if it is to win approval of the possible, new $5 billion bond measure touted by Chairman Robert Klein. The article had an optimistic lead on a promising ViaCyte Inc. therapy for diabetes. It cited in the second paragraph CIRM's $26 million in funding to the San Diego firm. CIRM President Alan Trounson was quoted. All that in a newspaper that has the largest circulation in California and that has largely ignored CIRM. "California stem cell czar offered top pay, asked to name job description." "In 2009, California’s Little Hoover Commission criticized CIRM’s governance structure, noting that Klein’s 'actions and personal style' and the fact that he essentially wrote his own résumé into the requirements for chairman, create a situation that 'distorts accountability and succession planning and could, in the event of an abrupt departure of the individual, leave the agency leaderless for an extended period.'" In the world of marketing, PR and election campaigns, it takes a lot of positive stories to counter the ones that reflect poorly on an enterprise, such as Worth's. The International Society for Stem Cell Research announced last week that it is making its first ever public service award to Robert Klein, the outgoing chairman of the $3 billion California stem cell agency. In a news release, the scientific group cited Klein "for his outstanding contribution of public service to the field of stem cell research and regenerative medicine." "Through his vision as author and champion of the California Stem Cell Research and Cures Initiative (Proposition 71), Klein secured long-term financial support for stem cell research in California. Through his leadership at CIRM, Klein developed a framework that fosters new and established talent, innovative science and clinical application. His advocacy for stable financial support for stem cell research on the international stage has been unprecedented." The Institute of Medicine study of the $3 billion California stem cell agency begins in July but the full IOM committee is not expected to be appointed until next fall. "There will be two sources of information about the project - the IOM website and the National Academies website. Once the committee is appointed and the study begins we will distribute information about the meetings through a list serve (sign up will be on the study's IOM page, which will be posted once the study begins). In addition, information about meetings and opportunities for public comments will be available through the National Academies Current Projects System (this is a separate system from the IOM page). "Once we begin in July, you can find information on the IOM site at www.iom.edu. The Current Projects System posts the study once the committee is appointed (which will probably be early fall). That system can be accessed at www.nationalacademies.org." Stith Butler replaces Cathy Liverman as the study director on the project. Liverman was involved in the preparation of the original proposal to CIRM. The California stem cell agency has posted its own version of the nomination of two Los Angeles men to become the new chairman of the $3 billion research enterprise. The announcement came yesterday. The nominations were made last Friday and Monday and were covered at the time by a handful of news outlets. For you curious souls out there, I have freshened up information on this web site about the California Stem Cell Report and its background. If you are interested, here is a link. If you have questions – embarrassing or otherwise – please feel free to send them along to me at djensen@californiastemcellreport.com. Depending on your druthers, I will answer them in a private email or online here. If you prefer, you can post them anonymously by clicking on the word "comment" at the end of this item. I strongly believe that people who write on public walls – that includes all government agencies and CIRM as well as the media – should be prepared to be fully and publicly examined, even if it is uncomfortable or worse. Writing on the publication's Spoonful of Medicine blog, Elie Dolgin said that the CIRM board of directors faces "a stark choice over who will lead the San Francisco-based institute as it enters into its next phase" – a cardiologist or bond financier. The piece contrasted Frank Litvack's scientific and medical credentials with the investment background of Jonathan Thomas, who is chairman of a bond investment firm, Saybrook Capital in Santa Monic, Ca. Dolgin reported that Thomas declined to comment on his salary request, which is reportedly at the top of the $400,000 range for the part-time job. Litvack is ready to take $137,500. Meanwhile, the CIRM directors' Evaluation Subcommittee scheduled a June 3 meeting to interview the candidates. The session will be mostly closed but there is a provision for public comment at some time duiring the meeting. Absent from the game this morning is most of the major media in the state, including the Los Angeles Times, the San Francisco Chronicle and the San Jose Mercury News. The Chronicle's and Mercury's backyards include the headquarters of CIRM, not to mention the major beneficiaries of the agency's largess. Oddly, The Sacramento Bee carried a story yesterday about the third nomination of Jon Thomas for chair of CIRM but failed to report the new nomination of Frank Litvack. Chiang, the state's top fiscal officer, said that Litvack "has been a clinician, a researcher and an entrepreneur, who has found or led several medical technology companies." "Dr. Litvack is a strong proponent of the oversight model of governance, as I have advocated. I believe he has the executive, medical, regulatory and financing experience, as well as the leadership skills that are needed to successfully guide the ICOC (the CIRM governing board) and CIRM through this upcoming transition and onto further success in the coming years. His interest in serving as ICOC's next chair is grounded in such a strong sense of civic duty and belief in CIRM's mission of saving lives that he will serve in the position at the lowest salary being offered, irrespective of his commitment to spend whatever amount of time is necessary to work with the ICOC and CIRM management to ensure that the next chapter in CIRM's history is as successful as the first." The CIRM board will meet June 22 and 23 in San Diego to choose between Litvack and Jon Thomas, chairman of Saybrook Capital of Santa Monica, Ca., to succeed Robert Klein, a real estate investment banker and attorney who has resigned as chair of the organization. By law, the 29-member CIRM board can only a elect a chairman from candidates nominated by the four state officials. Thomas reportedly favors the current controversial dual executive situation at CIRM in which the chairman and president have overlapping responsibilities. That has lead to public conflict in the past and has been much criticized, particularly by the state's good government agency, the Little Hoover Commission. It said CIRM was personality driven. Controller Chiang, also chair of the only state entity charged with review of CIRM and its board, last March said that oversight of CIRM is "severely compromised" when the chair is part of management. Klein favors continuation of the existing dual executive relationship. A reliable source told the California Stem Cell Report that Klein favors Thomas, although the board's outside counsel denied that on behalf of Klein. Litvack is disposed to more of an oversight role for the chair, a position that the CIRM board seems more inclined to support, at least as of its March meeting. The board also has designated the job as part-time – only 50 to 80 percent. The post carries a salary that tops out at $529,100. However, the board is looking at paying no more than $400,000 with a low of $137,500 because of its part-time nature. The pay apparently is another difference between the two men. Thomas is reportedly seeking a salary at the high end of the range while Litvack would accept $137,500. Litvack has been involved with a number of firms, most notably Conor Medsystems Inc. of Menlo Park, Ca. He was CEO when it was purchased by Johnson & Johnson for $1.4 billion. Conor was developing a new kind of stent. 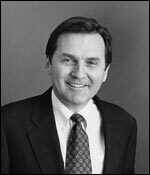 Thomas' firm, which he co-founded, specializes in distressed and defaulted municipal bonds, a financial category that includes state bonds. The stem cell agency is funded virtually entirely by California state bonds. The state has the lowest bond rating of any state in the nation. Here is the brief letter in which California Gov. Jerry Brown nominated Jon Thomas, chairman of Saybrook Capital of Santa Monica, to chair the $3 billion California stem cell agency. The California stem cell agency has signed a nearly $700,000 contract with the prestigious Institute of Medicine to produce a wide-ranging report to determine whether the agency is operating at "peak performance" and whether improvements are needed. The 17-month study will cost $699,247, under the terms of a contract signed on April 21. The project is scheduled to begin July 1 and conclude by Nov. 30, 2012. CIRM directors authorized the study last August. The original proposed schedule would have had the study completed by September 2012. That date would have made it available that fall for use in a campaign for a possible $3 billion to $5 billion bond ballot measure for CIRM, which has been talked up by outgoing CIRM Chairman Robert Klein. Such bond measures are usually placed before voters during a major statewide election, such as for governor or president, in order to help win passage. A presidential election is set for November 2012. Last August, Klein said the study would be key to winning voter approval of more bonds($3 billion were approved in 2004). However, the current timing would appear to make the full report unavailable for a November 2012 campaign. Nonetheless, selected portions of it could be leaked in advance to help win support. "I would just caution that the outcome on something like this can cut both ways. And to go in just sort of blind trust that they're going reach the conclusion you want them to reach, I don't think is a foregone conclusion. So you at least ought to think about the downside of a rather critical (study)." Under the terms of the contract, the IOM will select a 14-member committee to hold four meetings (only two that are partially public). The first meeting will be held behind closed doors although it deals with the very public issues of bias and conflict of interest. The second and third meetings are scheduled to have public workshops in California and will be the only ones held in the state. Once it is written, the report will go through the National Research Council's peer review process. CIRM will see a prepublication copy of the report as much as three months ahead of publication. "Does CIRM have the portfolio of projects and grant opportunïties necessary to meet its scientific goals?" "Are the internal organizational and management systems (in particular the board and working group structures and operations, the peer review system, the conflict of interest guidelines, and the grants management system) effective in working toward the institute's scientific goals?...Do they achieve the level of transparency and the level of stakeholder and scientific community involvement needed to meet the institute's public responsibilities and scientific goals?" "What are the advantages of CIRM's model for covering long-term costs of medical research? Could aspects of this funding model serve as a paradigm for other states or counties? " Although the study is being financed at taxpayer expense, the contract said the report will be the property of the the IOM – not CIRM. The contract also said "minutes and working papers from the committee meetings in closed (deliberative) sessions are considered proprietary by the consultant (the IOM) and will not be available for review by CIRM or provided to CIRM." CIRM plans to pay for the study with funds that it has gathered over the last few years from private donors. Klein has argued that the money thus does not come from California taxpayers. However, as the California Stem Cell Report and others have pointed out, once the money is given to the state, it is all public money and belongs to taxpayers. The IOM project comes as CIRM is scheduled to undergo its first-ever performance audit. The audit is required as the result of legislation last year supported by CIRM. The review is budgeted for $250,000 for the coming fiscal year although the total was originally estimated at about $400,000. Last fall, CIRM conducted an "external review" of its performance that consumed 2,000 hours or more of staff time. The IOM study director is Cathy Liverman. The IOM contract and proposal can be read below. Reporter Ron Leuty cited an anonymous source in reporting the move today in his story on the nomination of Thomas by Gov. Jerry Brown and state Treasurer Bill Lockyer. State Controller John Chiang is yet to make his nomination. In addition to Leuty, the Los Angeles Times and The Sacramento Bee today carried stories on their web sites about the nomination. The San Francisco and Los Angeles papers both cited coverage of the matter by the California Stem Cell Report. Here are links to the stories in the Los Angeles paper (written by Eryn Brown) and The Bee(by Paresh Dave). Here is the text of what Prop. 71 stipulates are the legal criteria for the CIRM chair. (i) Documented history in successful stem cell research advocacy. (ii) Experience with state and federal legislative processes that must include some experience with medical legislative approvals of standards and/or funding. (iii) Qualified for appointment pursuant to paragraph (3), (4), or (5) of subdivision (a)(which stipulate that the chair come from 'representatives' of 'disease advocacy' groups.) . (iv) Cannot be concurrently employed by or on leave from any prospective grant or loan recipient institutions in California. (i) Experience with governmental agencies or institutions (either executive or board position). (ii) Experience with the process of establishing government standards and procedures. (iii) Legal experience with the legal review of proper governmental authority for the exercise of government agency or government institutional powers. (iv) Direct knowledge and experience in bond financing." Two other state officials, Controller John Chiang and Lt. Gov. Gavin Newsom, have the ability to nominate candidates to succeed Robert Klein at the research organization. However, they are yet to be heard from publicly. Brown's nominating letter was very brief, only 56 words, and said nothing about Thomas other than nominating him. "Mr. Thomas's experience as a public finance investment banker, attorney, board member of various government agencies, and board member of the Crippled Children's Society of Southern California, as well as his lifelong background, education and interest in biology and medical sciences, makes him exceptionally well-suited to fill the role of ICOC (the CIRM governing board) chair and to lead the ICOC into the next stages of its ongoing pursuit of cures through stem cell research." Thomas is chairman and co-founder of Saybrook Capital of Santa Monica, Ca., a firm that specializes in distressed and defaulted municipal bonds, an investment category that includes state bonds. The stem cell agency is funded by California state bonds. The state has the lowest bond rating of any state in the nation. Thomas is reportedly favored by Klein as his replacement, although Klein has denied that through a spokesman. Thomas reportedly supports the much-criticized dual executive structure at CIRM in which the president and the chairman have overlapping responsibilities. Klein also favors continuation of the arrangement, which is codified in state law by Prop. 71. The ballot measure, which created by CIRM, was written by Klein and a handful of others. The chairman's job carries a salary range that tops out at $529,100. However, the board earlier this year indicated that it was looking at no more than $400,000 for part-time work (up to 80 percent). Klein, an attorney and real estate investment banker, worked without salary for a number of years. At one point, he asked for compensation. The board approved a $150,000 salary for half-time work. A third candidate and possibly a fourth has emerged for nomination as the new chairman of the $3 billion California stem cell agency. One is Bruce Montgomery, an executive in Washington state with Gilead Sciences, Inc., of Foster City, Ca., reliable sources told the California Stem Cell Report. The other is Stephen Juelsgaard of Woodside, Ca. He is a former executive with Genentech who was appointed to the CIRM board recently. His appointment may indicate that he is not actively seeking to replace Robert Klein, who is resigning as chairman. Scuttlebutt has it that Montgomery is favored by CIRM President Alan Trounson. Montgomery is senior vice president for respiratory therapeutics at Gilead. He was the founder and CEO of Corus Pharma of Seattle when it was purchased by Gilead in 2006. Prior to that he was an executive with Patho Genesis Corp. and worked at Genentech. Montgomery was also once chairman of the Washington State Biotechnology and Biomedical Association. He is a physician with an active California license. Juelsgaard's appointment to the board does not rule him out as a candidate for chair, but it would seem to make his possible nomination more awkward. The other potential nominees whose names have surfaced are Frank Litvack, former CEO of Conor, and Jonathan Thomas, chairman of Saybrook Capital of Santa Monica, Ca. He is Frank Litvack, former CEO of of Conor Medsystems Inc. of Menlo Park, Inc., which was purchased by Johnson & Johnson for $1.4 billion in 2006. Conor developed what Business Week called a "new breed of stent." Several sources told the California Stem Cell Report that Litvack is one of several possibilities to replace Robert Klein, who is resigning effective June 23, as chairman of CIRM. "There will definitely be choices." The 29-member CIRM board is expected to vote on the candidates at its meeting June 23 in San Diego. The CIRM directors Evaluation Subcommittee is expected to schedule a closed door meeting to interview candidates, who will make public presentations to the full board probably at the June meeting. At that time, the public will have an opportunity to comment. The California Stem Cell Report disclosed yesterday that Jonathan Thomas, chairman of the Saybrook Capital of Santa Monica, Ca., is also under consideration as a candidate. Thomas is reportedly backed by Klein, although Klein has denied that via a spokesman. Thomas is believed to support the current dual-executive structure at CIRM with overlapping responsibilities involving the chair and the president. The structure has been strongly criticized and has created public conflict in the past. Litvack reportedly favors a role that would place the chair instead in more of an oversight role. Litvack has a slight connection already to the CIRM board. He and Sherry Lansing, chair of the CIRM Governance Committee, both serve on the Health Board of Advisors at RAND, a Santa Monica, Ca., thinktank. In 2005 while Litvack was head of Conor, Business Week wrote about how the firm provided stock options to some doctors evaluating its technology, which was well-regarded. "Yet Conor's technology is difficult to assess, in part because some doctors helping to evaluate the devices have received stock options from the company. Among the 14 doctors who sit on Conor's scientific advisory board and are participating in clinical trials of its stent, three received consulting fees and five have received options, according to documents obtained by BusinessWeek. "Such relationships are a growing source of concern in the medical-device industry, drawing increasing scrutiny from regulators and medical ethicists. Still, Wall Street is smitten with Conor's potential." Robert Klein, the first and only chairman of the $3 billion California stem cell agency, has officially resigned effective June 23. His resignation came in a May 10 letter to the statewide officials who are responsible for nominating candidates for chair of the unprecedented research effort, which is generally regarded as the single largest source of funding in the world for human embryonic stem cell research. Klein's resignation letter is significant because he has talked about leaving his post at earlier dates several times in the past but never has. His May 10 letter makes it official. The governor, treasurer, controller and lieutenant governor are expected to make their nominations on Monday, if not sooner. The board is expected to choose among the candidates to fill Klein's slot at its meeting in San Diego June 23. Klein has served six-and-a-half years as chair of the 29-member CIRM board of directors. His letter mentions eight years of work. That includes the time that he and a handful of others spent writing the 10,000-word ballot initiative, Prop. 71, that created the stem cell agency. It also includes his direction of the 2004 statewide electoral campaign on behalf of Prop. 71. Here is the text of Klein's letter. "It has been my honor to serve as the Chairman of the Governing Board of the California Institute for Regenerative Medicine (“CIRM”) for the last six and a half years. With your support and the support of the other constitutional officers and the Legislature, we have made great strides towards achieving our goal of finding therapies and cures for Californians who suffer from chronic disease and injury. Just last week, CIRM’s Governing Board approved a loan to Geron, a California company, to support a human clinical trial involving the use of embryonic stem cells to treat individuals with spinal cord injury. We expect that CIRM’s Disease Team Research Awards, which were approved last year, will lead to additional human clinical trials within the next 24 months. "Having spent the last eight years of my life dedicated to the cause of stem cell research, I remain deeply committed to CIRM’s mission. When I .,agreed to be considered for a second term, however, I made it clear that, in light of my personal and professional obligations, I could only serve six months. I am therefore writing to submit this letter of resignation from my position as the Chair of the Governing Board of CIRM, effective at the close of business on June 23, 2011." "Thank you for your leadership and support of stem cell research. I strongly believe the advances of California’s stem cell scientists and clinicians will profoundly reduce the future of human suffering from chronic illness and injury." Robert Klein, chairman of the $3 billion California Institute for Regenerative Medicine, is backing the head of a Southern California investment firm to succeed him at the helm of CIRM as it pushes aggressively to bring stem cell therapies into the marketplace, according to a reliable source. However, James Harrison, outside counsel to the CIRM board, flatly denied that Klein has endorsed any candidate. Nominations for the position are scheduled to be announced on Monday. Klein's six-year term expired last December. Klein, a real estate investment banker and attorney, was re-elected to his post on an interim basis and said he will not serve after June. The candidate in question is Jonathan Thomas, chairman and co-founder of Saybrook Capital LLC, of Santa Monica. The firm manages $750 million in investments, focusing on distressed and defaulted municipal bonds, a term that includes state bonds. CIRM is funded by bonds issued by the state of California, which has the lowest bond rating of any state in the nation. Thomas has been connected with investments involving the city of Los Angeles, PG&E and the Los Angeles Community College District, according to Bloomberg Business Week. Other clients have included the Dodgers, Walt Disney, Catellus Development and Maguire Thomas. According to Bloomberg, Thomas is currently writing a medical mystery novel. In 2005, Business Week provided this description of Thomas' firm. "Nestled 3,000 miles from Wall Street in the beachside town of Santa Monica, Calif., Saybrook Capital is an unlikely player in the rough-and-tumble world of bankruptcies. But since it started in 1990, the 60-person boutique investment bank has carved out a key role in some of the country's largest bankruptcies, advising creditors of Pacific Gas & Electric and shareholders of Kmart and Adelphia Communications). Often it competes against much bigger firms such as Lazard and Rothschild. 'We tend to get the deals that are big, ugly, and complicated,' says Jonathan Rosenthal, who runs the firm's bankruptcy practice." Thomas has not responded to a query yesterday from the California Stem Cell Report. "Don (Gibbons, CIRM's chief communications officer)advised us that you were planning on running an item stating that Bob has endorsed Jon Thomas for chair. In fact, Bob has not endorsed a candidate for chair. He has tried to assist individuals who have expressed an interest in the position by providing them with information and background regarding the agency. Bob believes the board as a whole should make the decision on the next chair after the constitutional officers make their nominations. As an individual board member, Bob will personally evaluate each candidate who is nominated based on the needs of the agency and the candidates' presentations to the board. Any representation that Bob has endorsed a specific candidate is not accurate." We queried Harrison again following his response, asking him about Klein's ties to Thomas and whether he(Harrison) was making a distinction between backing and endorsing. The 29-member board of the stem cell agency is in an odd position concerning selection of a chair. Unlike most governing boards, CIRM directors are hamstrung in their choice of a director, courtesy of Prop. 71, which created CIRM and was written by Klein, Harrison and a handful of others. Under the terms of the ballot initiative, which altered the state constitution, the board can only pick a chairman from persons nominated by the governor, treasurer, controller and lieutenant governor. Those officials are expected to make their nominations on Monday, if not sooner. Names of persons under consideration are not being publicly revealed prior to that date. Last winter, Art Torres, co-vice chair of the board, was nominated for the top post but bowed out. It appears that he is not now actively seeking the position, although he has not responded to a question on the matter from the California Stem Cell Report. California Gov. Jerry Brown is proposing a "dramatically" reduced sale of state bonds, which are the only real source of income for the California stem cell agency, during the coming fiscal year. "The state already skipped its usual springtime general obligation bond issue at Brown’s behest. The revised budget proposal calls for selling only about $1.5 billion of GO (general obligation) bonds in the fall, as the state’s only GO issue of calendar year 2011, after selling $10.5 billion of GOs in 2010." Brown also proposed a $2.4 billion bond sale in the spring of 2012. He said the state currently has a backlog of $48.2 billion in unsold bonds. If CIRM bonds are not part of the fall sale, it could lead to a cash flow crunch at CIRM, which says it has only enough funds on hand to meet its current commitments through about June of 2012. Competition for inclusion in the bond sale is likely to be stiff. Brown's bond sales plans also assume enactment of his budget. However, Republicans have in the past successfully blocked tax increases, which are part of the spending plan, because of the requirement of a two-thirds vote for approval. A former, longtime Genentech executive yesterday was named to the 29-member board of the $3 billion California stem cell agency. Stephen Juelsgaard of Woodside, Ca., was appointed by California Lt. Gov. Gavin Newsom to replace Ed Penhoet, a co-founder of Chiron. Penhoet had sat on the board since the agency's inception in 2004. He was vice chairman at one point and directed development of CIRM's intellectual property provisions. Juelsgaard fills a slot on the board reserved for a representative from a life science business. Juelsgaard is a lecturer at the Stanford law school and a member of the board of directors of Ivivi Health Sciences LLC of San Francisco, a privately held firm that focuses on electrotherapy devices to relieve pain. Juelsgaard was executive vice president of Genentech when he left the firm in 2009. He joined it 1985. Last fall he endowed a deanship at Iowa State University with $3 million. Juelsgaard holds a doctorate in veterinary medicine from the school. The president of the $3 billion California stem cell agency, Alan Trounson, has taken up blogging. While he is no Matt Drudge(the high impact political blogger in Washington, D.C.), Trounson's effort is worth regular scrutiny especially by scientists seeking CIRM cash. Trounson blogged on April 22 about his views on current stem cell research around the world. His item was an extension of the summaries that he presents to CIRM directors at their regular meetings. "Since I arrived at CIRM late in 2007 I have maintained a tradition of presenting some of the top science journal papers from the previous month or two at each of our board meetings. Beginning last month, I decided this would be easier to digest in a written document than in PowerPoint slides amid a harried board meeting. You can see an archive of these periodic stem cell reports on our website. "This month I want to start a second part of the new tradition, a brief blog note to let you know why I, as someone who toiled in stem cell labs for many years, chose these items as some of the most important papers in the field in the past month or so." Trounson went on to comment, via a separate link, on research by M. Eiraku, Sheng Ding, Elias Zambidis, Howard Chang, R. Perlingeiro, P. Ma, Shinya Yamanaka, E. Morrisey and Richard Lee. Trounson's new endeavor is a worthwhile contribution. It provides insight for other scientists and interested parties into the thinking at the highest level of a major funding organization. "We have met the enemy and he is PowerPoint." "The amount of information that gets conveyed in 20 Powerpoint slides is probably less than a five page paper. It takes forever to brief it, which limits the time for serious discussion by the audience or the senior officials who are subjected to the presentation. "With Powerpoint, the military has been moving toward an oral tradition and away from the written word, with all the demands for precision, nuance and serious exposition that writing requires. And it's not just a problem for the military. The procedure has become quite common in other areas of government, among contractors and in think tanks. "Sometimes Powerpoint presentations are used as a kind of bureaucratic filibuster: they can be a way to eat up time and restrict the opportunity for hard questions. But even when that is not the intent they are generally not the best means of communication. Clear and concise writing requires that issues be thought through and that is not always necessary if all that is required is to slap a few bullets on a slide. "It would be far more efficient to prepare a concise and analytical paper that provides the essential information and arguments, circulate it in advance and then take questions about the assessment and recommendations at a meeting. If maps, graphics and charts are important they can be attached to the paper as needed. The essential information could be absorbed before the meeting, which could then be devoted to serious debate and discussion." The prospects for new sales of California state bonds – the only source of funding for the $3 billion California stem cell agency – remain dim, according to an article today in Bond Buyer. "The California bond market has become hamstrung by the delay" in coming up with a prudent state budget in Sacramento, wrote Randall Jensen in the public finance newspaper. "California has no plans to go to market until the fall, and even that is far from ­certain. 'We still hope to be in the market this fall to sell $5.5 billion to $6 billion of GO bonds. But the treasurer has no interest in selling bonds without a balanced budget in place,' said Tom ­Dresslar, a spokesman for state Treasurer Bill ­Lockyer. "Dresslar said GO-bond financed public works programs have enough funds to make it though the end of the calendar year, but added that if the state doesn’t go to market until next year current projects could face a shutdown." The stem cell agency says it has sufficient cash to fund current commitments until roughly June of next year. There is no guarantee, however, that the agency would receive funds via the first round of bond sales even when they do occur. The state has about $37 billion in bonds awaiting sale. Competition for allocations will be stiff. 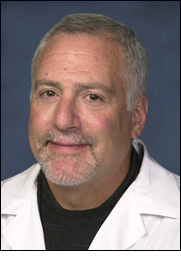 "It should be remembered that because of the large collaborative teams we build in California for disease teams, for example, or large collaborative teams that are necessary for clinical trials, and the international teams that we need to make certain that we retain a working reserve so that we provide assurances to these teams that this extraordinary effort they put together to bring together institutions and special expertise is not defeated, although we have an approved loan or grant. So, for that matter, it's important to the industry as well." The state of California's first-ever venture into a clinical trial involving human embryonic stem cells garnered more than the usual news coverage last week for the Golden State's $3 billion stem cell research effort. At least more than usual for the stem cell agency, which has received modest attention in the mainstream media in recent years. The $25 million loan to Geron Inc. of Menlo Park, Ca., drew articles in newspapers ranging from the Los Angeles Times to the San Francisco Business Times. However, the story was ignored by the San Francisco Chronicle, the San Jose Mercury News and The Sacramento Bee, based on our searches. That despite the fact that the circulation areas of the San Francisco and San Jose papers include the headquarters of both Geron and the California stem cell agency. The lack of coverage by those papers undoubtedly is a reflection of the current overtaxed nature of the newspaper business along with the difficulty of peddling stem cell research stories to reporters and editors. Keith Darce of the San Diego Union-Tribune had most developed story that we saw. It included comments from another stem cell company and termed the award "historic." Darce also pointed out that the loan is part of CIRM's effort to help stem cell companies through what is known as a financial valley of death – a period in which it is difficult to find conventional financing. "John M. Simpson, a consumer advocate with Consumer Watchdog in Santa Monica, Calif., said that making a loan to support a clinical trial made sense. While his group has worried in the past about awards becoming 'boondoggles,' he said in this case Geron's trial was vetted carefully and the company met the requirements needed for funding. 'It could provide cures. That's what everyone wants,' he said. 'I'm watching it with interest.'" "We need to be prepared to stand by the heroic patients and the companies as they face these challenges and solve the problems that stand in the way of the recovery of patients from paralysis." Over the last year, Klein has talked up another bond issue for CIRM that could total as much as $5 billion. CIRM operates on borrowed money (state bonds), which doubles the real cost of all its activities because of the interest expense. To win voter approval of a new bond issue will require concrete results, such as those envisioned in the Geron trial, to justify continued state support of stem cell research. Geron's three-year clinical trial is aimed at assessing the safety of its treatment. Any regular use of the therapy is probably a decade or more away because of the need to test its efficacy and to clear regulatory hurdles. Geron hopes to enroll 10 patients in its trial. The firm picked up its second in Chicago, according to a report this week.